“My business coaching, teleclasses, books, and seminars help you to evolve authentic practices that make doing business a heartfelt expression of your gifts in the world while ensuring that you and your family prosper. 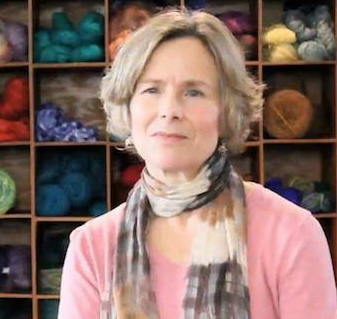 Learn more about her program Profit Alchemy. I got what I came for and much more! Profit Alchemy gave me the confidence to market myself more assertively, the plan to market myself more consistently, the language to market myself authentically and in a way that appeals to my ideal clients and the support to move through my challenges. Learn more at the site The Power of TED, and in the book The Power of TED* (*The Empowerment Dynamic) by David Emerald. 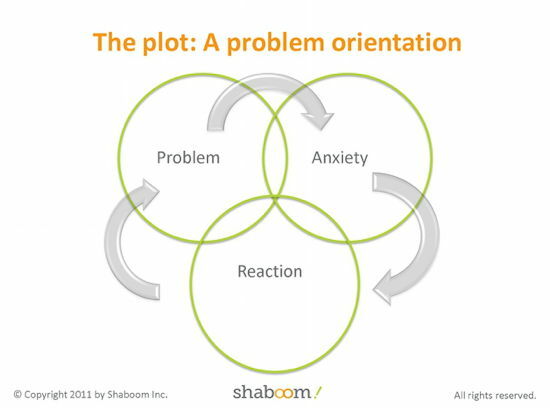 The Empowerment Dynamic (TED)™ is the antidote to the Drama Triangle, which was first described by Stephen Karpman, MD. The Dreaded Drama Triangle (DDT) is comprised of three roles – or ego states: Victim (the primary role that is at the heart of all three), the Persecutor (which the Victim blames for their suffering); and the Rescuer (who steps in to try and take away the Victim’s suffering). 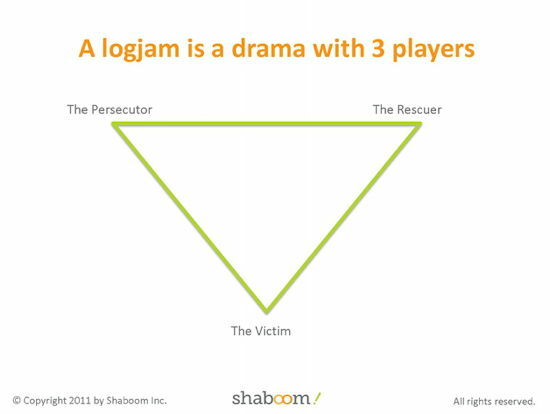 People shift in and out of playing all three roles in this Dreaded Drama Triangle (DDT). TED* (*The Empowerment Dynamic), offers a different triangle with a different set of relationships. 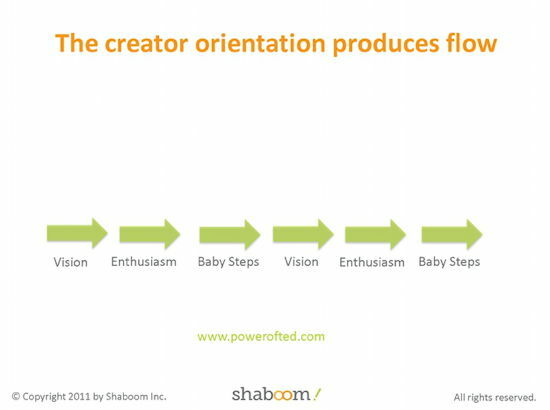 At the heart of this new dynamic is the Creator life orientation. 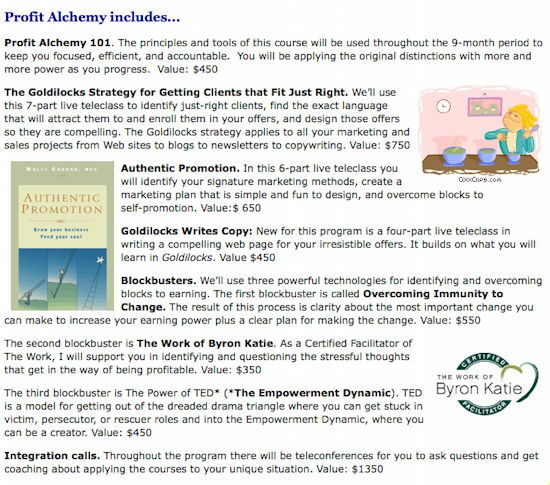 These graphics [click to see larger] about some of the TED concepts and process – also a part of Profit Alchemy – are from a recent webinar by Molly Gordon: Heal Your Heart, Open Your Mind, and Clear the Profit Logjam Webinar. On her blog, you can see her catalog of products, subscribe to Authentic Promotion, “the biz ezine for the spiritually and psychologically savvy” – and receive a free 31-page guide, Principles of Authentic Promotion. “The more you grow and develop personally, the more you achieve the emotional, physical, and spiritual well being you want, the more successful you will be at building a business where the person you have always wanted to be can do work you have always wanted to do. You feel called to do certain work in the world, and you know you need help with the business part, especially marketing and sales. In spite of your commitment to earning a good living, you know you have some inner roadblocks. You need to do what needs to be done and be the change you want to see if you are going to make self-employment profitable. Doing what needs to be done requires outer transformation. The mastery of essential planning, marketing, and sales tools that every business needs in order to succeed. But without an inner mandate, you’re not likely to sustain your efforts to use those tools. Unless they resonate with something deep inside, you’ll get distracted, frustrated, or just plain scared before you get results. That inner mandate arises when you embody the change you want to see in the world. It means undergoing an inner transformation that dissolves old stories around money, visibility, and other inner blocks to success. Learn more about Profit Alchemy. Save $750 on your investment when you apply before 5pm Pacific Time, Thursday, December 8th.